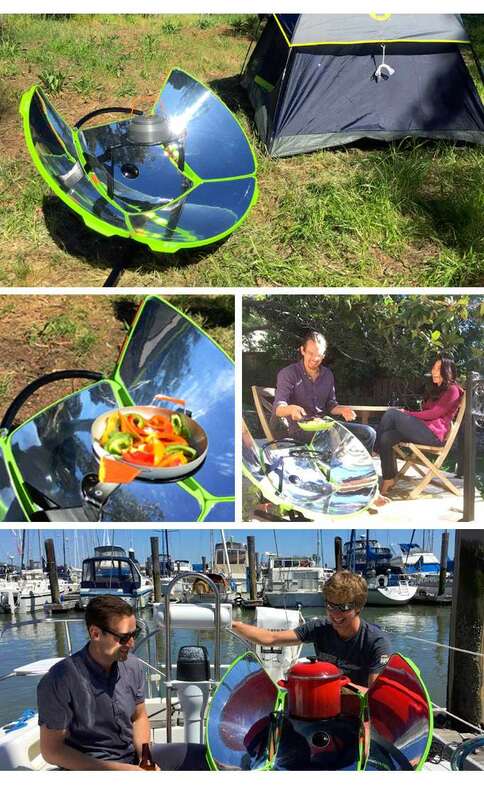 Outdoor adventurers or those looking for an environmentally friendly way to cook and boil water may be interested in a new solar cooker which has been created by One Earth Designs. 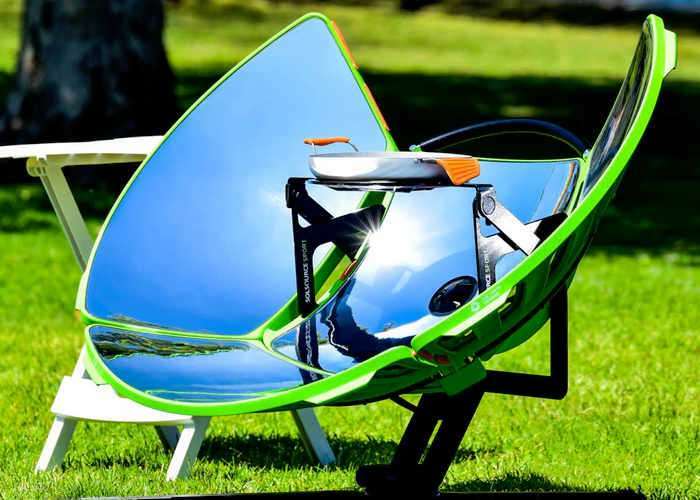 The SolSource solar cooker has this week launched by a Kickstarter and is available to back with pledges starting from $149 for earlybird backers with shipping expected to take place during August 2017. Watch the promotional video below to learn more about what you can expect from the performance of this lightweight solar cooker which has already raised nearly $90,000 via Kickstarter. This super easy to use, compact, portable and 100% solar-powered stove is made for truly pollution free cooking, anywhere. Whether it is your neighbor’s backyard, a long weekend at a national park, or a day out on the beach, take SolSource Sport with you wherever you go. It is light. It is compact. It is easy to use. Just point at the sun and start cooking right away! SolSource Sport lets you cook delicious food in the great outdoors – with just the power of the sun. The intense heat from SolSource Sport gets your sausages sizzling and coffee piping hot! It works by focusing sun light onto your pan to deliver intense heat with its efficient reflectors. It is easy to use, compact and portable – that means you can take it wherever you go. Better still, SolSource Sport lets you cook your favorite foods without fuel or waste.